This is the first commander deck I've ever built and its list has changed A LOT since the first time I assembled it. This is my main deck when playing the tournaments at my LGS (every wednesday) and, although it's not a cEDH list, I've managed to achieve some good results with it. The main focus is to force your opponents to draw/discard cards while taking damage (most of the time you are going to do this with "wheel effect" cards) or just scoring one of the game wining combos. - DEFENSE: Cards that will protect you somehow (counterspells and cards that will make your opponents think twice before attacking you). - PAIN: Cards that will deal damage to your opponents when you make them draw/discard cards. - RAMP: Permanents that allow you to accelerate mana production. - REMOVAL: Cards that help you dealing with any threat on the battlefield. - TUTOR: Cards that allow you fetching any card you may need (combo pieces, awnswers for any threat...). - UTILITY: A variety or cards that will help you in many different ways. Most of your combo pieces are here. - WHEEL: The main fuel for the deck. Nekusar is all about the wheels. You need to try "chaining" them in order to kill all your opponents in one turn. I wasn't thinking about the deck colors when I started building it, I just liked the commander. However I can assure you that is the best combination for what you want to do with this deck. All the best wheels are Red or Blue and Black is the perfect color when you need to punish your opponents for discarding any card. Besides, GRIXIS is just perfect for control and spellslinger/storm strategys. Like any combo deck the main strength is that you can finish the game out the blue. 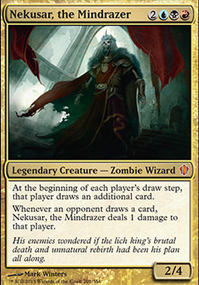 With all the ramp, combos and tutors you can win in the early turns. It's even possible to win turn 1 or 2, but it's very rare! You're NOT a slave of your general (most of the games you will be able to win without casting Nekusar once). With all those wheels it's hard for you opponents to build a game plan when everybody's hand may change all the time. People just don't like playing against a Nekusar. They know you can win the game fast and nobody likes when you keep forcing them to discard a nice hand and buy a mysterious new one. Therefore, you will probably paint a target on your forehead everytime you play with this deck, prepare to be focused by the table. Also, most of your wincons rely on Enchantments or Artifact, beware of hates against those cards. The main strategy of this deck is chain the highest number of wheels you can, while dealing damage to the whole table. It is preferable to cast an wheel only when you think you'll be able to cahin it with another and already have some permanents to inflict pain in your opponents. Also, you have a huge variety of combos at your disposal, they are nice alternative wincons! - Mind Over Matter + Niv-Mizzet, the Firemind An ALMOST infinite combo. Tap NV in order to draw a card and deal damage, discard a card to MOM in order to untap NV and repeat (if you add something to suffle your grave into your library - like an eldrazi titan - it will be infinite). - Jace's Archivist + Mind Over Matter Chain as many "wheel" effects as you have blue mana to spent. You will probably win the game if you have anything to inflict some pain. - Curiosity + Niv-Mizzet, the Firemind Another ALMOST infinite combo with Niv. Tap NM, deal 1 damage to target player, Curiosity triggers, repeat until you are the only one standing or without any cards to draw. - Omniscience + Show and Tell The classic Legacy combo. You will basically win the game if Omniscience hits the battlefield. You can also use Planar Bridge instead of SnT. - Bloodchief Ascension + Mindcrank Another INFINITE combo. Play Mindcrank once BA has 3 or more counters. If your opponents loses any life they will die from an infinite mill + damage chain reaction. - Hive Mind + Pact of Negation Kill anyone who can't produce blue mana. Just remember you need a valid target to cast the Pact (it can't target itself) and if the opponents counters each other Pacts they won't need to pay the cost. - Helm of Obedience + Leyline of the Void INFINITE Mill the entire deck of an opponent to the exile. If you have Mind Over Matter you can repeat the process with each of your adversaries. OLD DUALS: The old duals provide good color fixing and are fetchable and nonbasic. FETCHES: The fetches provide strong color fixing and are nonbasic. SHOCKS: The shocks provide good color fixing and are fetchable and nonbasic. BONDS: The BR and UB (the UR wasn't released yet) Bond lands provide the same color fixing and speed from the Old Duals, but aren't fetchable. UR PAINLAND: Will be substituted by the UR Bond one as soon as (if) it gets released. CHECKS: The checks provide good color fixing and are nonbasic, but can't be fetchable. FILTERS: The filters provide good color fixing and are nonbasic, but can't be fetchable. Command Tower , Reflecting Pool , Mana Confluence : These cards provide perfect or strong color fixing with few to no downsides. Academy Ruins : You realy rely on some artifacts like Paradox Engine . Ancient Tomb : A awesome ramp in order to accelerate your game. Command Beacon : An solution to avoid "commander tax", but it's better used to cast Nekusar for free with Omniscience . Reliquary Tower : This deck lets you draw A TON of cards, not having to discard them is neat! Scavenger Grounds : Situational. Good when facing grave heavy metas. Urborg, Tomb of Yawgmoth : An excelent color fixer! Force of Will and Pact of Negation : Both are "free" counterspells. Perfect for protecting your combos! Disallow : Allows you to counter not only spells, but also activated or triggered abilitys. Propaganda and No Mercy : Pillowfort enchantments. It will be harder for your opponents to focus you. Sol Ring : A MUST in ANY commander deck! Mana Crypt : A even better Sol Ring. Signets: Low CMC and nice color fixing. Talimans: Similar to the Signets, but only exist in allied colors and and deals damage to you. Mana Vault and Grim Monolith : Most of the time they are a one time use mana burst in order to win the game. 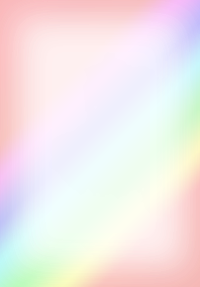 Mox Diamond : A free colored ramp. Mox Opal : A free colored ramp (we have 19 artifacts, that is a easy metalcraft). Fellwar Stone : Cheap clored mana (DO NOT run it in a 1x1 match). Megrim , Liliana's Caress and Bloodchief Ascension : The huge damage dealers. Each one will inflict about 14 damage to your opponents everytime you resolve a wheel. Fate Unraveler and Underworld Dreams : Both work like a "small Nekusar", dealing 1 damage to your opponents when they draw a card. Spiteful Visions : Like the above but also DAMAGES YOU. Phyrexian Tyranny : Nice damage and can slow you opponents game, but it also DAMAGES YOU. Niv-Mizzet, the Firemind : Deals damage to a TARGET when YOU draw a card, can be used as a "removal" and is able to finish the game with Curiosity . Blasphemous Act : Commander staple and cheap board wipe. Cyclonic Rift : A must have in ANY blue deck! People even ask it to be banned from Commander. Damnation : Classic 4 mana board wipe. Toxic Deluge : Only 3 mana and allows you to kill even indestructible creatures. Vandalblast : Best artifact hate IMO. Demonic Tutor : Best sorcery speed tutor in the game. Only and you can fetch ANY card to your hand. Imperial Seal and Vampiric Tutor : Extremely cheap! and 2 life in order to tutor a card to the top of your library. Vampiric is better because you cast it at the end phase of your opponent. Lim-Dul's Vault : Not only allows you to fetch a card, but also let you reorganize the next 5 cards you are going to draw. Always cast it at you opponent's end phase! Mystical Tutor : Works like a Vampiric Tutor, but without the life cost and can fetch only instant or sorceries. It's a nice way to "chain" wheels! Planar Bridge : High CMC and you are going to became the tables's target when you cast it. However, if you manage to put Omniscience on the field with it you will probably win the game. Incendiary Command : Versatile card. Can be a wheel and a removal spell. Jace's Archivist : Excellent tool for "chainning" wheels and can finish the game with Mind Over Matter . Beware this card will paint a target on your forehead. Molten Psyche : Not the best wheel in the deck since it dosn't discard your opponents hand, but the metalcraft is easy to achieve. Reforge the Soul : Best wheel in the game if you manage to cast it by it's miracle cost (some tutors may help you with that). Teferi's Puzzle Box : The most anoying card in this deck! Nobody likes to play against it (please don't cast it if you facing decks like The Locust God or any Niv-Mizzet). Time Spiral : A "free" wheel and can give you some mana if you have Paradox Engine on the field. Wheel and Deal : It's INSTANT SPEED. Just perfet for "chaining" wheels. Wheel of Fortune : The classic "wheel" card. Low CMC and nice effect. Whispering Madness : Excellent card for "chaining" wheels. Just cypher it in a creature with evasion or just hit an opponent that can't block for an extra wheel. Windfall : Another CMC 3 wheel. Sometimes it will be even better than Wheel of Fortune . Winds of Change : A CMC 1 wheel. If you have it in your opening hand it's fun to force everybody to take a mulligan! Clever Impersonator : A "clone effect" card. Extremely versatile card. Has saved me 3 times against some Nekusar's counters like Gisela, Blade of Goldnight . Consecrated Sphinx and Curiosity : Let you draw TONS of cards each wheel. Dream Halls : Every spell has a "FoW effect", what is perfect for "chaining" wheels. Just beware your opponents will also benefit from it. Helm of Obedience : Only here to combo with Leyline of the Void . Otherwise it's a dead card. Leyline of the Void : I face against a grave heavy meta, this card helps a lot! Hive Mind : A game finisher! When you cast a wheel everybody will copy it! Notion Thief : Cast it at your opponent pass and then cast a "wheel" at your turn. You'll draw tons of cards and your opponents will be locked with no cards and being able to draw only one card at their Draw Step. Library of Leng : A MUST HAVE in any Nekusar list! Not only works as a Reliquary Tower , but also allows to NOT discard a card you want when you resolves a wheel. Mind Over Matter : A combo enable and helps with mana rocks like Mana Vault and Grim Monolith . 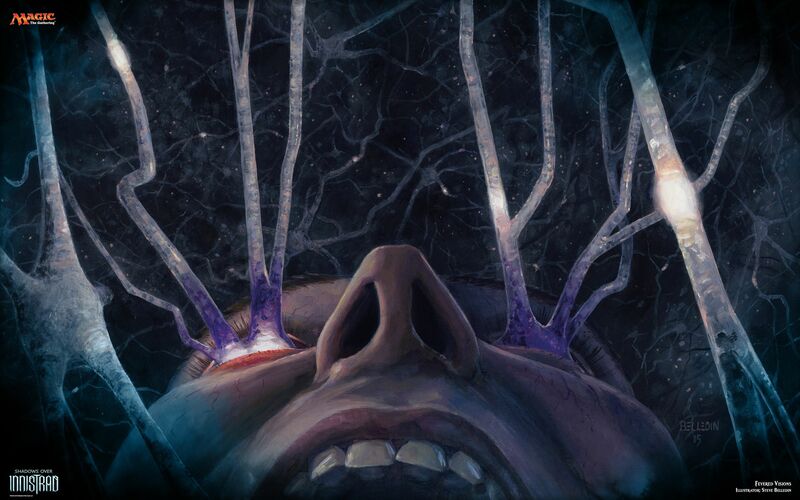 Mindcrank : Combos with Bloodchief Ascension and mills your opponents. Mizzix's Mastery : A versatile card. Most of the time will be a wheel (or more than one). Omniscience : A game finisher. 98% of the time it will hit the battlefield and you are going to wheel your way to victory! Paradox Engine : Such a broken card if you have a lot of mana rocks in the field. Excellent for "chaining" wheels. Phyresis : Game finisher. Enchant your commander and kill everybody with a wheel or two. Twincast : Extremely versatile card. Most of the time it will be a counter to protect your combo or be used to "chain" wheels. Show and Tell : Cheap way to cast Omniscience but sometime can be used for other high CMC cards like Hive Mind . Waste Not : Just one of the best cards in a Nekusar deck. Cheap and gives you a lot of resources! Disallow : is a lot of mana to spend casting a counter. Scavenger Grounds and Leyline of the Void : I face against a lot of grave based deck at my LGS, if you don't have that problem, you may want to cut these cards for something that fit your meta better. Phyrexian Tyranny and Spiteful Visions : Both deals damage to your opponents AND YOU. If you cut them, make sure to put other cards that deals damage everytime your adversaries draw a card. Planar Bridge : Heavy CMC and draws a lot of attetion towards you. It's a high risk, high reward card. Helm of Obedience : Dead card if not being used to combo with Leyline of the Void . Omniscience and Show and Tell : 98% of the time you'll only cast one with the other, so if you want to cut one, you should cut both. Molten Psyche : Only shines if you have metalcraft. Feel free to share your thoughts down below! Any comments/suggestions will be appreciated! The coding for this primer was developed by Epochalyptik here.